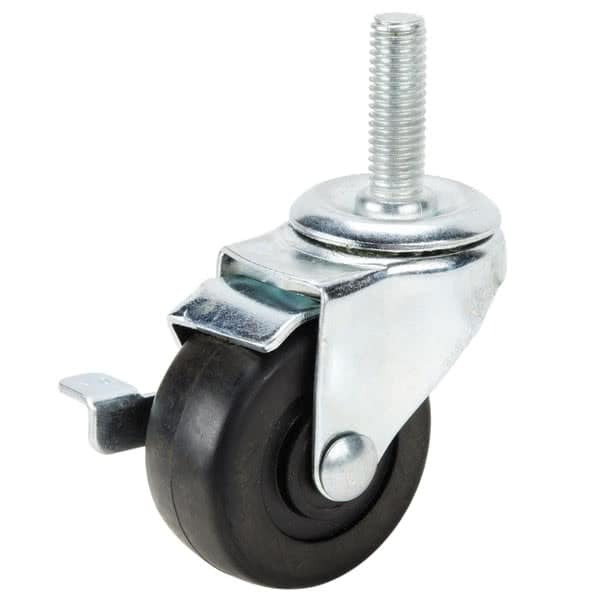 The Turbo Air 30265H0200 stem caster replaces worn out or broken wheels on Turbo Air equipment. The unit is equipped with a brake that can help secure equipment in place. The Turbo Air 30265H0200 caster measures 2.5 inches and the full unit is 3 inches tall, which doesn't include the 0.5-inch-diameter, 13 TPI mounting screw.